Iran food in photos. Everything about Iranian food and markets, Iranian spices, Iranian desserts, drinks, stews, soups and grilled meats from across the country, from the Turkish-inspired cuisine of Tabriz to the traditional Persian cuisine of Shiraz. 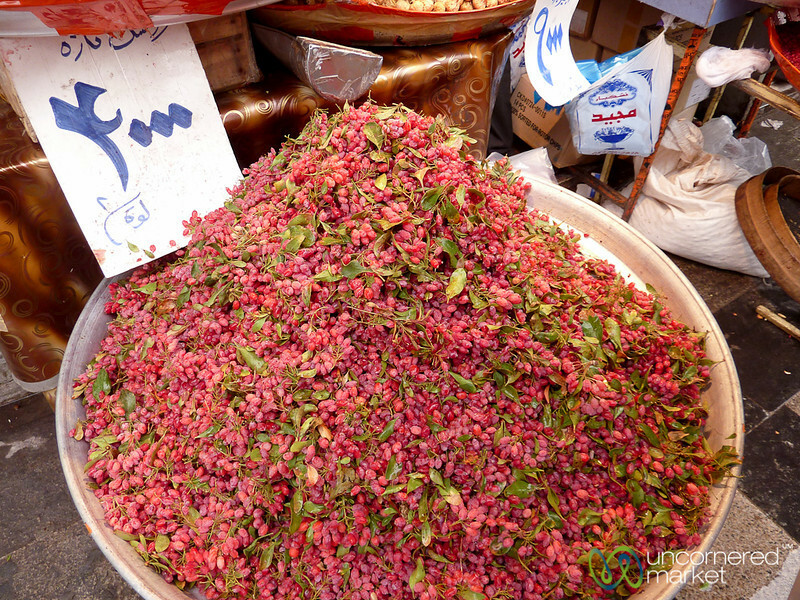 These barberries are usually dried and used in Iranian dishes such as rice, stews, and more. Delicious. Tehran Bazaar, Iran.